q:Where can I find information on scholarships? 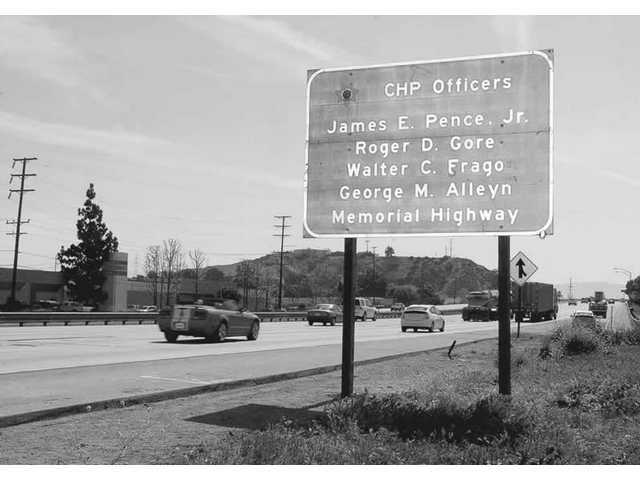 Thirty-eight years ago today, four CHP officers were murdered. 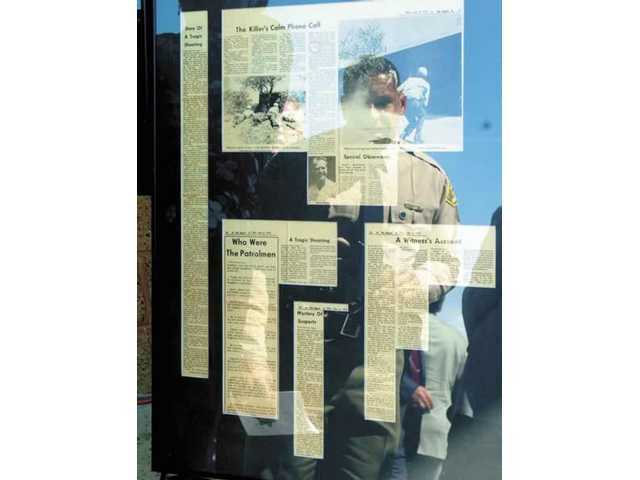 Posted: April 6, 2008 12:26 a.m.
Santa Clarita Valley Sheriff's Station Captain Anthony La Berge examines newspaper clippings from the 1970 shooting during Friday's ceremony during which a stretch of Interstate 5 was named in honor of the fallen patrolmen. It was a different world on April 6, 1970, when four young California Highway Patrol officers were shot and killed in one of the state's bloodiest gun battles. What's now the Santa Clarita Valley was then a patchwork of farms and ranches, dotted with small businesses. What happened on that day 38 years ago, however, shattered the valley's quiet forever with a violence that echoes today. Against a backdrop of construction all around them - the muted blast of jackhammers and the beeping of dump trucks backing up - more than 400 people, half in uniform, gathered Friday at the Caltrans building on The Old Road for an outdoor ceremony honoring Walter C. Frago, Roger D. Gore, James E. Pence Jr. and George M. Alleyn. With the state flag at half mast, beginning with a prayer and a fingertips-to-hat brim salute by scores of Southern Division CHP officers and ending with a CHP Rifle Team 21-gun salute and the unveiling of a freeway sign in honor of the four, many of the white haired speakers recalled a quieter time as they honored the fallen four. "The world was different then," said U.S. Rep. Howard P. "Buck" McKeon. 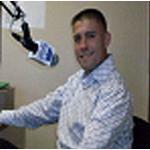 "With the TV and news media, we see violence every day, but it was a different world then. This really shook up people in our community." Santa Clarita Mayor Bob Kellar was a rookie police officer with the Los Angeles Police Department when the four were gunned down. "I noticed something at the service," he said Friday. "Each of the four has less time on the job than I had on that day." Kellar said the world of law enforcement changed after that day. "I was a police officer in North Hollywood when it happened. And when it did, that place was buzzing. I'm telling you. It hit everybody like a freight train." Police tactics were reviewed and lessons learned from the shootout in Newhall. The so-called Newhall Incident was studied and officers - including Kellar who was enrolled in SWAT training - assigned to role playing were instructed to take part in re-creation scenarios of the incident, carried out at the Universal Studios lot. 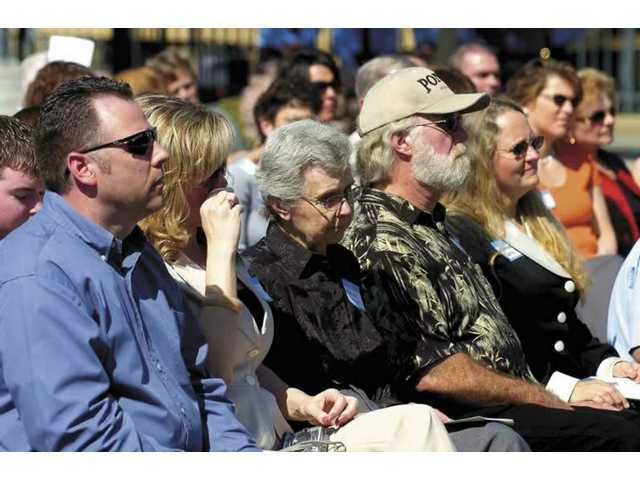 "It changed law enforcement across the country," Kellar said. At 11:20 p.m., on April 5, 1970, a military serviceman driving south on Interstate 5 from Gorman with his wife and approaching Pyramid Rock, was almost hit by a northbound motorist who made a sudden U-turn across the center divider. The serviceman rolled down his window and told the motorist he didn't like the way he was driving. 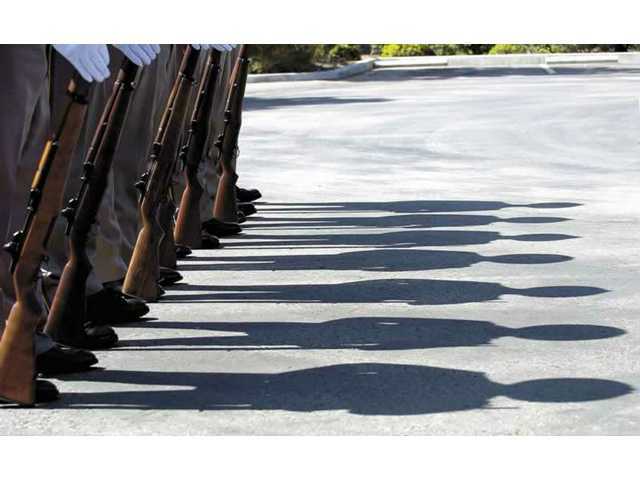 When the two vehicles came to a stop, the motorist pointed a revolver at the serviceman and called him a "smart punk" according to the official reports compiled by the CHP. The serviceman told the gunman that a CHP officer was approaching, prompting the gunman to speed away. At 11:36 pm, after the serviceman drove eight miles to get off the freeway, his wife phoned the CHP's Newhall area office to report the run-in and provide a description of the gunman's car and license plate. Radio dispatcher Jo Ann Tidey took the call. She then alerted CHP Unit 78-8 - officers Gore and Frago - about a 1964 two-door Pontiac registered in Orange County. The pair - friends who had grown up together in Merced and who each lived on Walnut Street in Newhall - staked out Castaic Junction in a bid to intercept the gunman. They were given information that the incident was a misdemeanor - since the area was open to hunting and shooting, according to the CHP account. At six minutes to midnight, Gore and Frago informed dispatch that they were following behind the red Pontiac, southbound on I-5 near the Castaic Commercial Vehicle Inspection Facility, and requested backup. CHP Unit 78-12 officers Pence and Alleyn stopped on the southbound on-ramp at Valencia, two miles south of the inspection facility, watching for the red Pontiac. The gunman turned off the freeway at Henry Mayo Drive and was pulling into the well-lit J's Coffee Shop near the Standard Service Station. A third CHP unit was about three miles away in Saugus and began heading toward the area when the Gore/Frago team called in to say they were almost there. At four minutes to midnight, an excited voice was heard on dispatch. It was Pence. "11-99, shots fired at J's Standard." 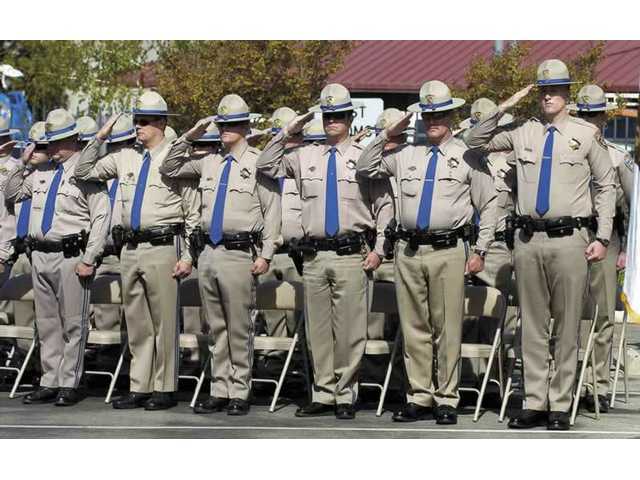 The CHP dispatched 5 units and two inspection scale officers, relaying the call to the Sheriff's Department. According to scene reconstruction done by the CHP, based on information supplied by more than 30 witnesses, the following is what happened next. Gore and Frago pulled into the J's parking lot, with Gore driving. Both officers got out of the patrolcar and walked to the front of their car. Frago was armed with a shotgun; Gore with a .357 Magnum revolver. Frago was near the right front headlight of the patrolcar; Gore leaning over the left front fender with his gun drawn and pointed at the suspect vehicle. The CHP believes it was Gore who ordered the suspects - Bobby Augusta Davis and Jack Twinning - to get out of their car. "Get out with your hands up ... We told you to get your hands up." Davis, the driver, got out of the Pontiac and was ordered to lean over the car in a search position. Gore took five steps towards the left rear of the Pontiac. 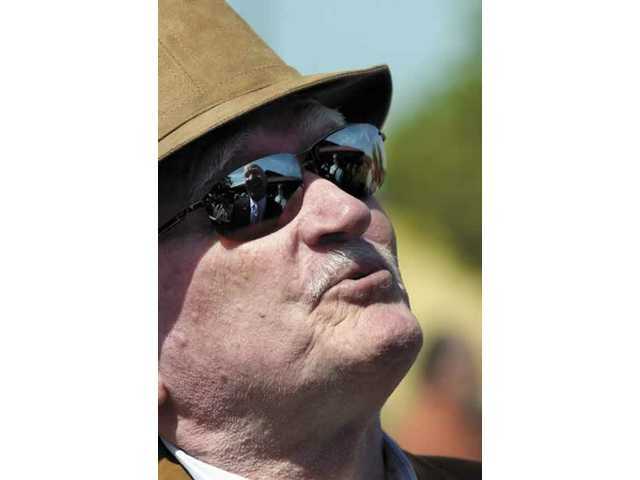 At the same time, Frago walked to the passenger side of the Pontiac, holding his shotgun. As he reached the passenger door, it suddenly opened and Frago was heard yelling "Hold it." Twinning turned in his seat and fired two shots from a four-inch .357 Magnum revolver, striking Frago in the chest and killing him instantly. Gore turned to see the Twinning step out of the Pontiac and fire at him. Gore fired a shot that hit a vehicle parked in the restaurant parking lot. With Gore's attention diverted, the Davis drew a two-inch .38 caliber revolver and shot Gore twice in the chest. Gore died instantly with two bullets entering the upper left part of his body and lodged in his right back. It was still 11:56 p.m., according to the CHP report. That's when Pence and Alleyn arrived, Pence driving. They were shot at as they arrived. The Twinning dropped his now-empty revolver and grabbed a .45 caliber automatic from the Pontiac and fired one shot at Pence and Alleyn. When that gun jammed, the he grabbed a second .45 caliber automatic from the car, getting out on the driver's side. Meanwhile, Davis had grabbed sawed-off 12-gauge shotgun and began firing at Pence and Alleyn. Pence fired from behind the left front door of his patrolcar. Alleyn jumped out of the patrolcar, shotgun in hand, chambered a round and darted behind the Gore/Frago patrolcar. He fired three rounds at Davis and Twinning from behind that car's open right front door. One blast blew out the rear window of the Pontiac just as one of the gunmen was jumping inside it. The shot nicked the gunman's forehead. In the excitement of the gun battle, Alleyn had ejected a live round out of his gun, investigators determined later when examining the spent rounds. With the shotgun empty, Alleyn ran to the rear of the patrol car and began shooting with his service revolver from behind the car. As he did so, Davis jumped between the patrol cars and shot Alleyn with a blast of his sawed-off shotgun. Alleyn lay mortally wounded from the blast. All the while, his partner Pence was firing shots at the passenger suspect, now positioned at the left front side of the Pontiac. Pence ran out of ammunition. He ejected the spent cartridges from his revolver and took cover behind his patrolcar to reload. Twinning moved directly toward Pence in clear view and began firing. Pence was shot four times, twice in the chest and twice in the legs. The power of the shot broke one of his legs. According to reconstruction of the shooting, Pence was able reload but had no chance to shoot. As he was reloading, Twinning crept along the left side of the patrolcar, raised up over the fender and shot Pence at close range. At the height of the gun battle, a delivery driver on his way to work - later identified as U.S. Marine Gary Kness, 31, of Newhall - stopped his car 200 feet behind the two patrolcars. Alleyn was shot with a total of 10 shotgun pellets in the face and chest. When Kness saw him get shot and then fall, he ran to the officer's aid, trying to pull him to the back of the patrolcar. Twinning dropped his shotgun and grabbed Frago's revolver from the officer's holster and began firing at Alleyn's lifeless body. Kness tried to drag Alleyn out of the line of fire but couldn't. Instead, he picked up the officer's shotgun and tried to shoot Twinning. The shotgun was empty. At that moment, Davis began walking directly at Kness. The Marine dropped the empty shotgun and grabbed Alleyn's revolver, lying on the ground at his feet. Kness gripped the revolver with both hands and fired a single shot. The bullet struck the Pontiac, splintered, then struck Davis in the chest. Two copper-jacketed bullet fragments were later found embedded in his chest. Kness fired a second shot but the gun was empty. He spun around when he heard a sound behind him. He turned to see Twinning stand over Pence, yelling: "I got you now." Twinning fired a single .45 caliber shot close range, execution-style, into the back of the officer's head. Officer James E. Pence, Jr. died instantly. When Kness saw Pence go down, he took cover in a ditch on the east side of the road. By the time, other officers arrived, they found the bodies of four young patrolmen on the ground. The gun battle had lasted four and a half minutes. Twinning and Davis had fled the scene and later barricaded themselves in a house. Just before officers stormed the property, Twinning committed suicide by shooting himself in the head with Frago's shotgun. Davis was captured and ultimately convicted of four counts of murder, and is currently serving a life sentence at Pelican Bay State Prison.